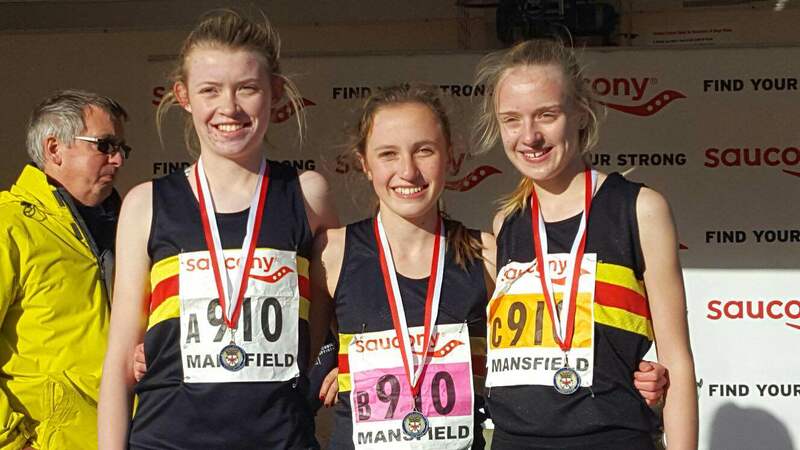 The team of Rachel Pharaoh, Charlotte Vaughan and Emma Horsey ran their socks off to secure Walton’s first ever medal in these championships at Mansfield. 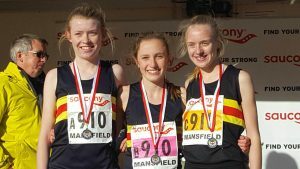 The English Cross Country relay championships is a popular early season test. In cold conditions for early November the Walton U15 girls battled it out with the best clubs in the country and won Walton’s first ever medal in the event. A great achievement and the club is immensely proud of the team. Relay Championships at Stoke Park over a 2.5km course. running the days fastest leg in 7:28.
captain Charlie Feinson in 7:12. Huge congratulations to all the athletes. the first Young Athletes cross country race of the season on Saturday. third in the team competition. 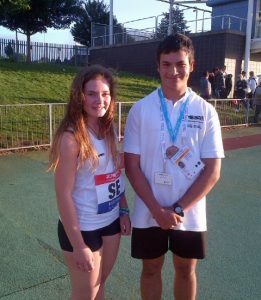 Two Walton athletes were selected to represent the South East of England at the UK School Games in Loughborough on 2nd September. 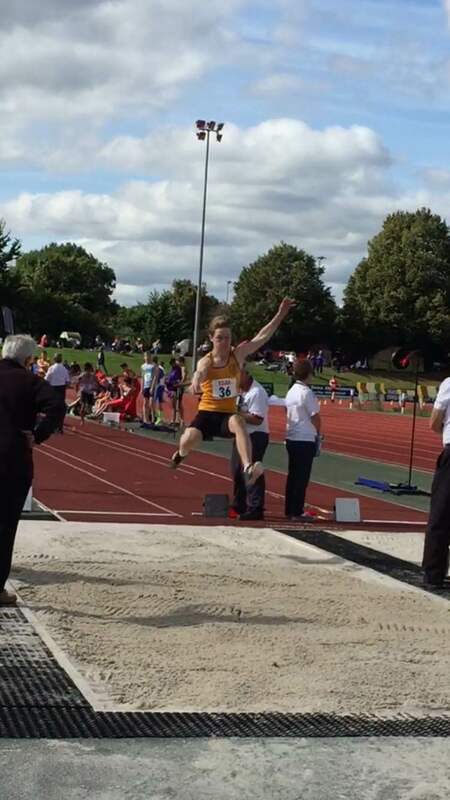 Sam Mace’s Hammer was the first event of the day in the field events and of course it was pouring with rain!